Narcissistic and psychopathic leaders come in all shapes and degrees of virulence. Learn to recognize them in various settings (the workplace, religion/church, or politics) and to cope with the toxic fallout of their "leadership". Includes analyses of historical figures from Alexander the Great to Jesus and from Hitler to Trump and Obama. Title : "Malignant Self-love: Narcissism Revisited" - Tenth Edition (Revised June 2015) – Excerpts ONLY! – Psychology ("Malignant Self-love: Narcissism Revisited”) – an Open Directory Cool Site for 8 years. Owner of the Economies in Conflict and Transition Study List and the Links and Factoid Study List. 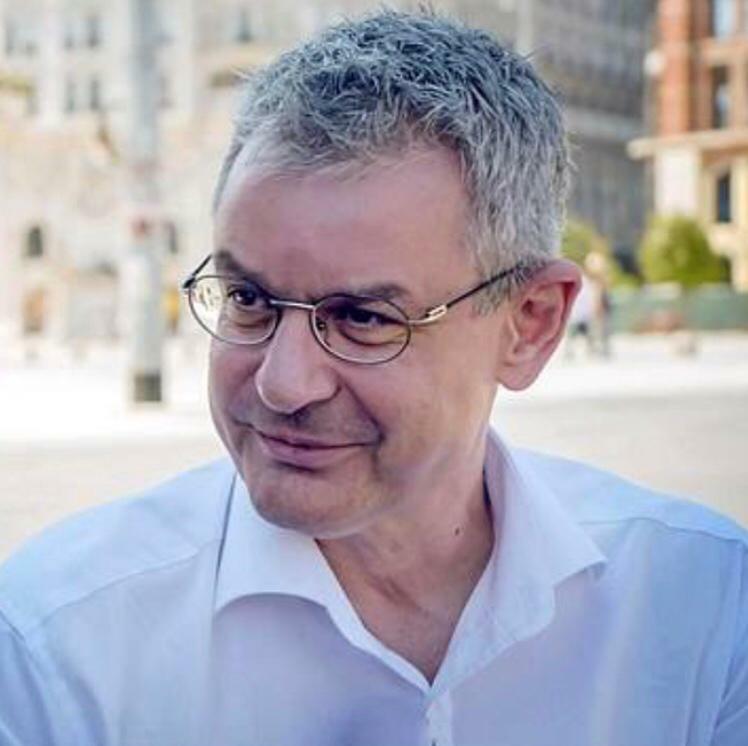 Columnist and commentator in "The New Presence", United Press International (UPI), InternetContent, eBookWeb, PopMatters, Global Politician, Analyst Network, Conservative Voice, American Chronicle Media Group, eBookNet.org, and "Central Europe Review". Hundreds of professional articles in all fields of finance and economics, and numerous articles dealing with geopolitical and political economic issues published in both print and Web periodicals in many countries. Many appearances in the electronic and print media on subjects in psychology, philosophy, and the sciences, and concerning economic matters. Save 73$! Purchase 3 DVDs (16 hours of video lectures) + The Narcissism, Psychopathy and Abuse in Relationships Series of SIXTEEN e-BOOKS – click HERE! Buy the tenth PRINT edition from Barnes and Noble - Click HERE! More than 730 pages: essays, 100 frequently asked questions and appendices regarding pathological narcissism, relationships with abusive narcissists and psychopaths, and Narcissistic Personality Disorder (NPD). Updated to reflect the criteria in the fifth edition of the Diagnostic and Statistical Manual (DSM V, 2013). 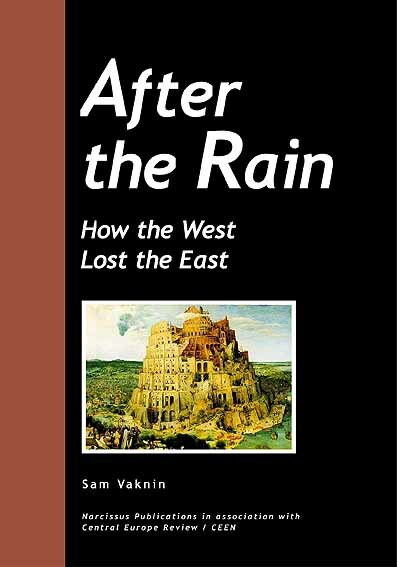 Email your proof of purchase from Amazon to samvaknin@gmail.com and get FOR FREE: 1. The PDF editions of ALL 16 books + 2. A huge bonus pack! Click HERE to Purchase “A to Z of Narcissistic Abuse, Narcissism and Narcissistic Personality Disorder Encyclopedia: The Narcissism Bible”: Almost 1000 pages of A to Z entries: the first comprehensive encyclopedia of pathological narcissism and Narcissistic Personality Disorder in clinical and non-clinical settings: family, workplace, church, community, law enforcement and judiciary, and politics. 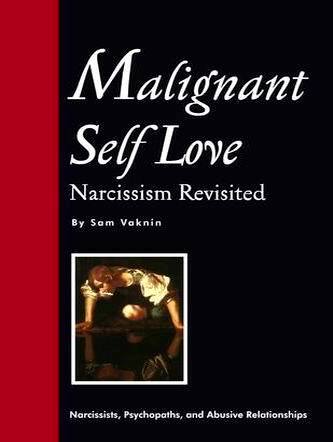 The FULL TEXT of Sam Vaknin's classic, groundbreaking BIBLE of NARCISSISM and NARCISSISTIC ABUSE, now in its 10th edition. Tips and advice as well as the most complete clinical background. Narcissistic Personality Disorder and its effects on the narcissist, the psychopath and their nearest and dearest - in 100 frequently asked questions and two essays - a total of 730 pages! Updated to reflect the NEW criteria in the recent fifth edition of the Diagnostic and Statistical Manual (DSM).